Great location, slightly out of the town with beautiful views. The hotel is welcoming and comfortable and the staff are excellent , very professional and friendly and willing to help. A bonus to have the spa facilities. The view was just amazing! Spotless room! Stuff very kind and helpful! Great staff, great hospitality, excellent facilities, one of the largest rooms we had, excellent bad, also breakfeat is very good. Quiet location out of town, free shuttle bus throughout the day, comfy beds, spotlessly clean, lots of fresh bed linen and dressing gowns/slippers, sea view on all 20 or so rooms, couple of villas also in hotel grounds, good hair dryer, free cappuccinos at breakfast, super friendly staff, spa treatments, sauna, steam room, indoor and outdoor pools, huge selection at breakfast and special diet friendly, plenty of library books, free towels for beach and pool use. Υπεροχο αρχιτεκτονημα για ξενοδοχειο σε ενα ομορφο τοπιο. Ολα ψαγμενα και προσεχτικα τοποθετημενα για ενα αρμονικο αποτελεσμα. Πρωινο καλο , φιλικη (τοσο-οσο) συμπεριφορα , αρκετες παροχες. Αν και πηγαμε "off seazon" (δλδ λιγο προσωπικο ,οχι ολα ανοικτα κλπ) προσπαθησαν και με το παραπανω να μας ικανοποιησουν. Ενα μεγαλο μπραβο! Το κρεβάτι ήταν τέλειο!η θέα καταπληκτική!το προσωπικό ευγενεστατο κ εξυπηρετικό! Die Spa Anlagen sowie der Infinity Pool haben einen guten Eindruck gemacht. Da wir Off Saison da waren, war jedoch alles schon "still-gelegt" bzw nicht mehr einladend. Wir hätten theoretisch aber die Anlagen nutzen sollen. Aus Zeit Gründen und weil es sich eher angeboten hat sind wir lieber dann an den Strand. Ηταν όλα υπέροχα... Πολύ όμορφος ο χώρος και πολύ ευγενικό το προσωπικό!! 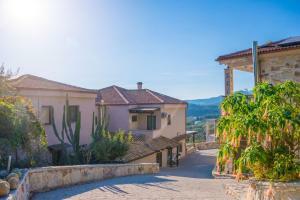 Lock in a great price for Salvator Villas & Spa Hotel – rated 9.1 by recent guests! Salvator Villas & Spa Hotel This rating is a reflection of how the property compares to the industry standard when it comes to price, facilities and services available. It's based on a self-evaluation by the property. Use this rating to help choose your stay! 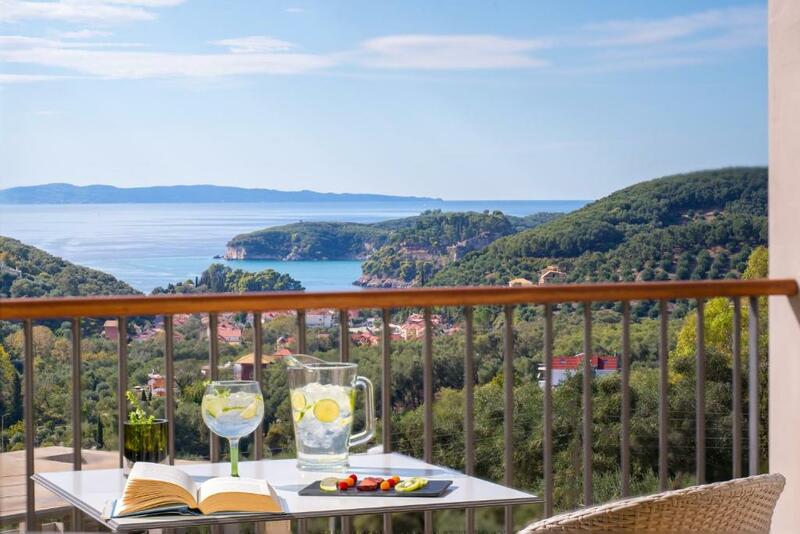 Salvator Villas & Spa Hotel nestles on a verdant hill with views of lush green olive groves and the Ionian Sea. 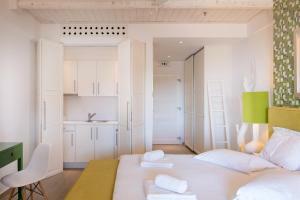 Featuring spa facilities, an outdoor pool and hot tub, it offers boutique rooms with free Wi-Fi. Staff are at your service 24 hours a day, and a regular shuttle service to Parga town is also available. International newspapers and magazines are provided, while a laundry service provides additional convenience. When would you like to stay at Salvator Villas & Spa Hotel? 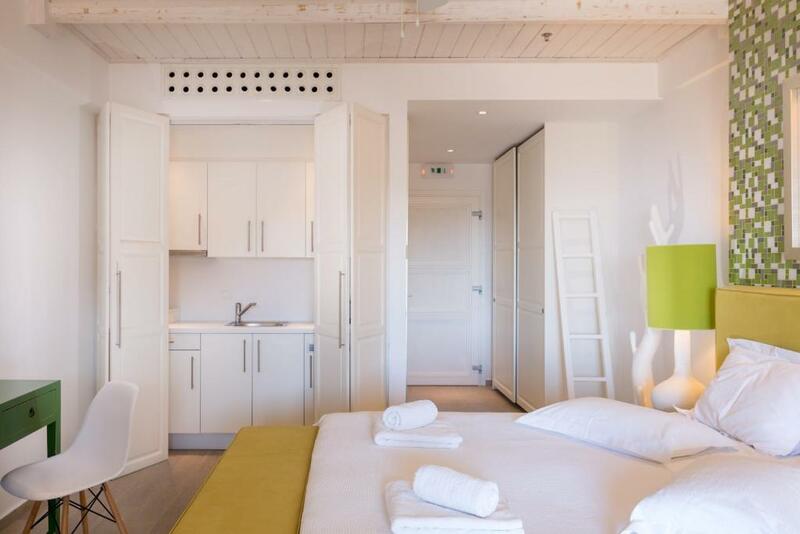 The Belle Etage Suites feature higher ceilings to give the room a more spacious feel. Each has a separate living area and a spacious balcony offering sea and mountain views. Junior suites feature living area with modern fireplace, bathroom with air-massage bathtub or shower and a spacious balcony with sea and mountain views. The spacious villas feature 2 bedrooms, one with its own transparent glass bathroom with shower and the other with an air massage tub. There is a full, modern kitchen and a comfortable living area with fireplace. 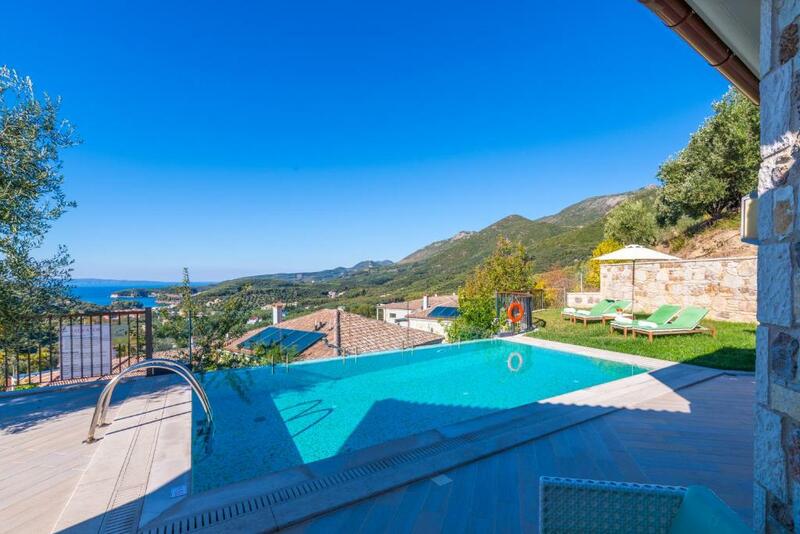 Each villa has its own private pool with lounge chairs and sun umbrellas, offering superb sea and mountain views. Superior villas are more elevated enjoying the most impressive views of the complex. Stylishly decorated, each villa features a living area with fireplace, modern kitchen and 2 bedrooms, each with its own bathroom with shower plus an air massage bathtub. 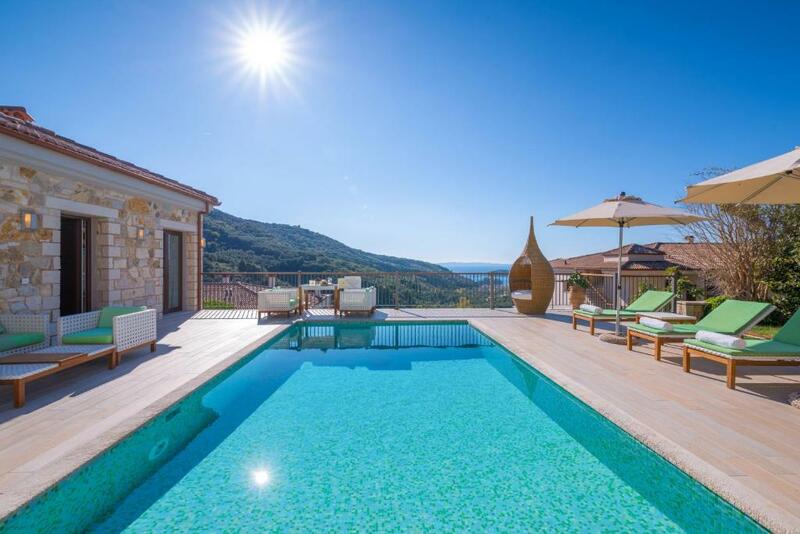 Each villa has its own private pool with lounge chairs and sun umbrellas, offering superb sea and mountain views. 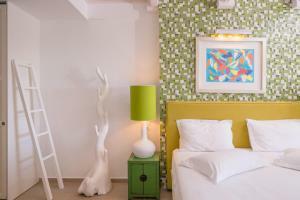 Deluxe rooms feature modern furnishings, bathroom with bathtub and a spacious terrace with sea and mountain views. 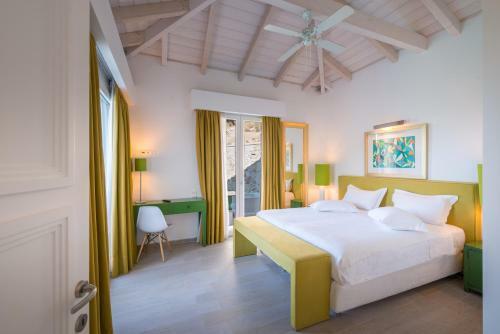 House Rules Salvator Villas & Spa Hotel takes special requests – add in the next step! Salvator Villas &amp; Spa Hotel accepts these cards and reserves the right to temporarily hold an amount prior to arrival. Salvator Villas & Spa Hotel accepts these cards and reserves the right to temporarily hold an amount prior to arrival. The use of some facilities are subject to seasonality.